Well, I located one, as you can see but as with many of my purchases on trips down south, I promptly forgot about it after arriving home and it ended up languishing on a storage shelf until I got around to finally opening it the other day. 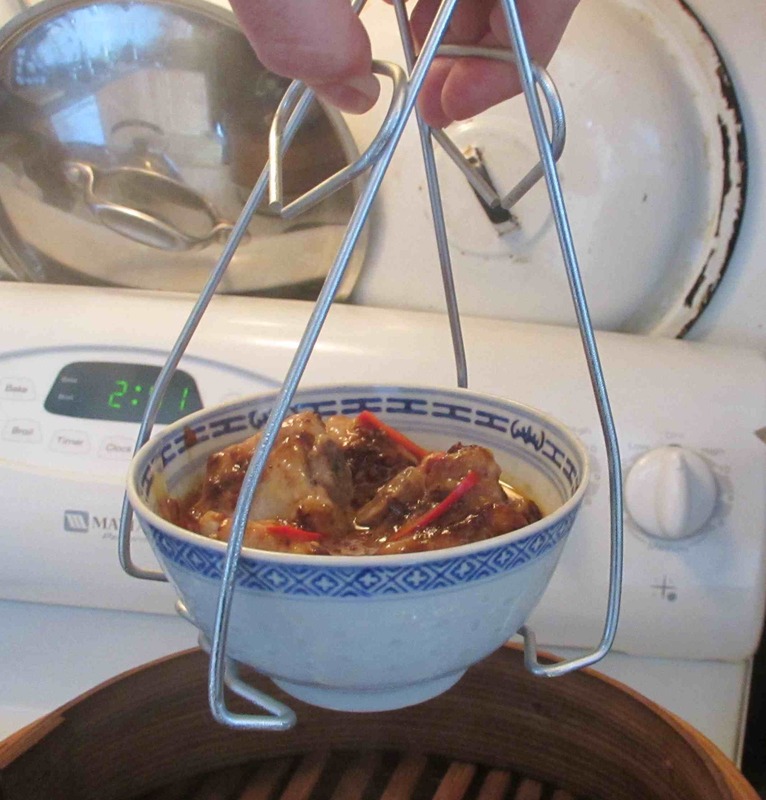 It actually looks almost exactly like a similar device we use for lifting jars out of a pressure canner but those are far too big and wieldy for manipulating the sort of delicate tableware used for serving Dim Sum. 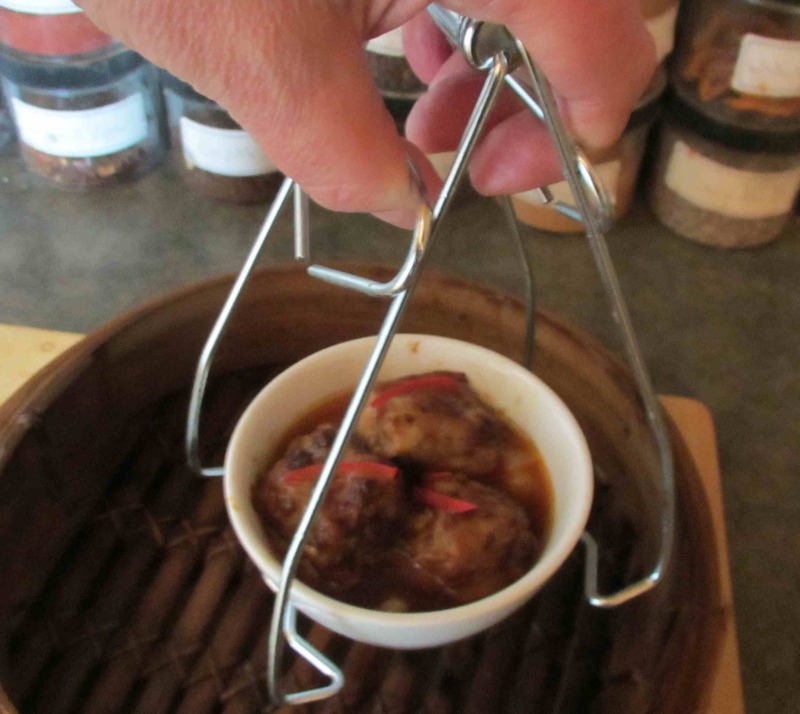 I decided to test the lifter using a selection of the dishes I most commonly use for Dim Sum snacks. The device worked quite well for the fairly heavy bowl you see in the picture above. I should note that, in fact, I actually dropped the bowl but I was fiddling with the camera at the time and not paying attention so that little accident can’t be blamed on the lifter. These square dishes were a breeze to lift. The jaws of the lifter grabbed it very nicely and I could probably have swung it back and forth without it slipping from the grasp. Of course, had I done that, sauce would have sloshed out all over the place so I omitted that particular experiment. These smaller bowls were a little trickier. I didn’t come close to dropping it but it felt as though the grip was just a little precarious. This product did was it was designed to do acceptable well. 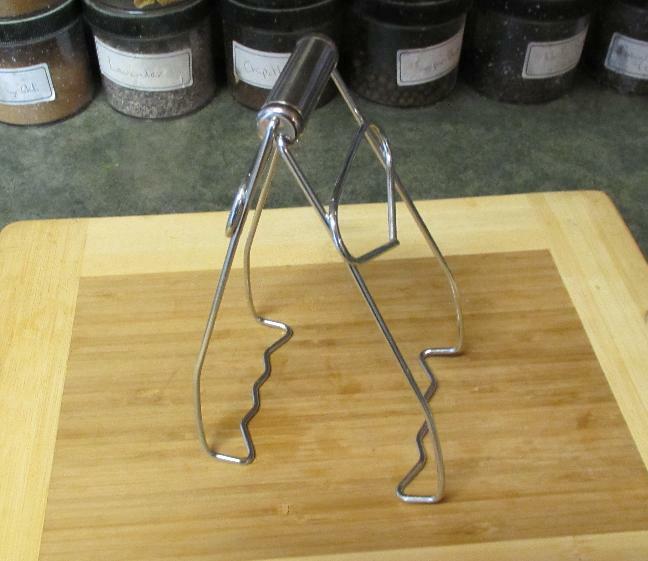 It is not he sort of indispensible item that no kitchen can do without, but for the five or six dollars I spent on it, I thought it money well spent. If you are constantly burning your fingers under similar circumstances then I would definitely recommend this item to you. Oh, by the way… It occurred to me as I was doing this piece that I really didn’t need to actually cook anything for the demonstration; I could just as easily have filled the dishes with dried beans, or something. Still, I got to test my new product and also enjoy a nice little meal as part of the bargain. 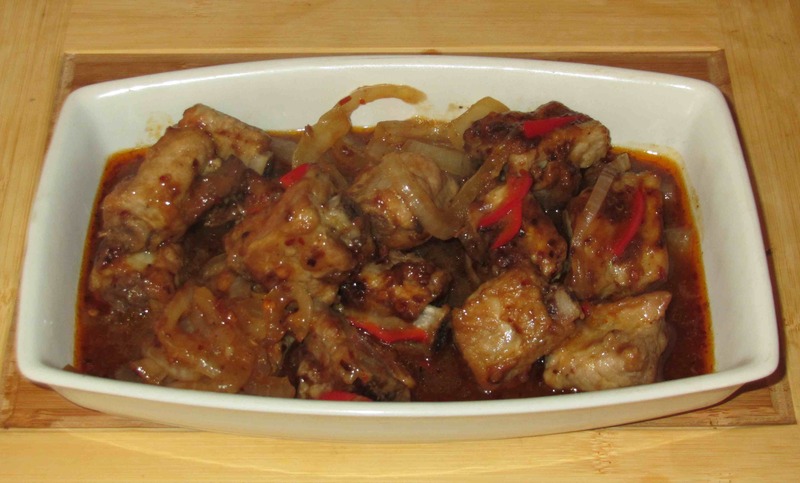 If you are interested, the dish I cooked consisted of spareribs that were dusted in flour, coated with Lee Kum Kee Chili Black Bean Sauce and then steamed on a bed of sliced onion. I also poured over a little rice wine diluted with water to make a little bit of sauce and the ribs, I have to say, turned out very nicely indeed. 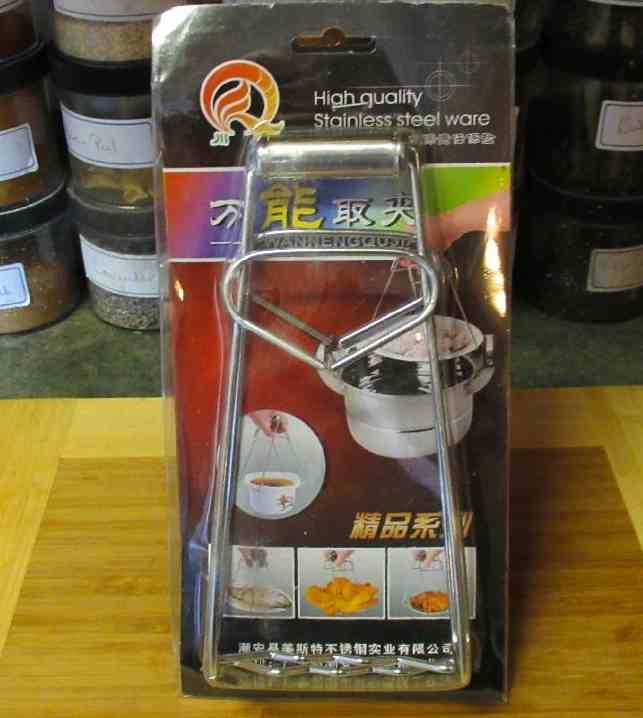 The tool can also lift big plate, e.g from the wok after steaming a fish, or shrimps. 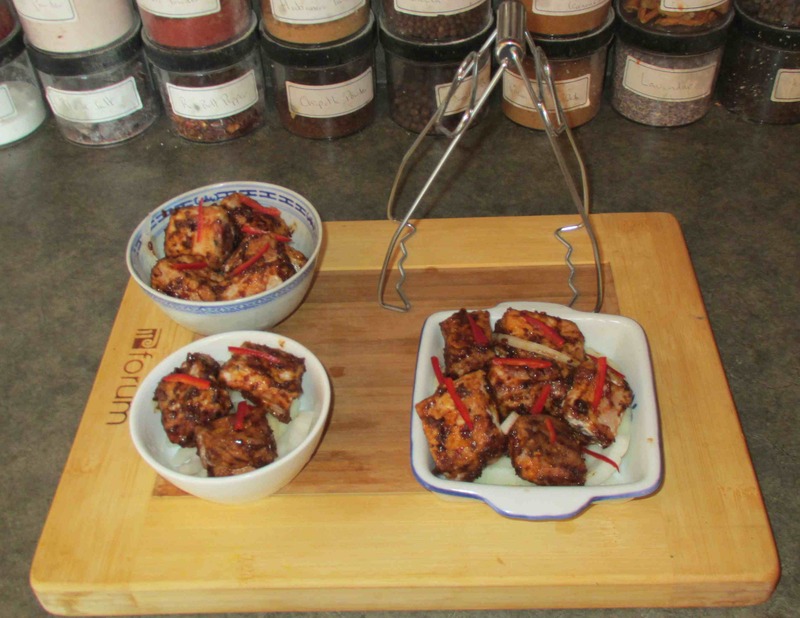 The spare rib sauce…I can also testify that it is very popular among Asians. I will use the same sauce for spare ribs with bitter melon. You are so good in making Asian dishes! Good job! Neat little gadget. Lovely photos. I didn’t even know one of those tools existed! Thanks for enlightening me! True … I usually don’t have a problem with large deep dishes but the small shallow ones commonly used for dim sum are sometimes difficult, particularly when you have several in the steamer, and that’s my main use for this (so far anyway). The device is nice but that is not what I came to respond about it is your delicious looking spareribs. I hope you share this recipe. If there is on kitchen tool that is of the ut-most importance, it is most definitely this one. I know how you feel with the bamboo steamer, whenever I’m steaming some steamed pork or vegetable buns or dumplings, the fingertips and palms are always the ones to get the worst end. But I’m always happy to see the new posts, most definitely one of my must-read blogs! Well thnk you very much. I just wish I had come across that little gadget earlier. You’re welcome. ^,.,^ I think that little tool is quite helpful actually. Saves the fingers and palm from severe burning and steam burns. 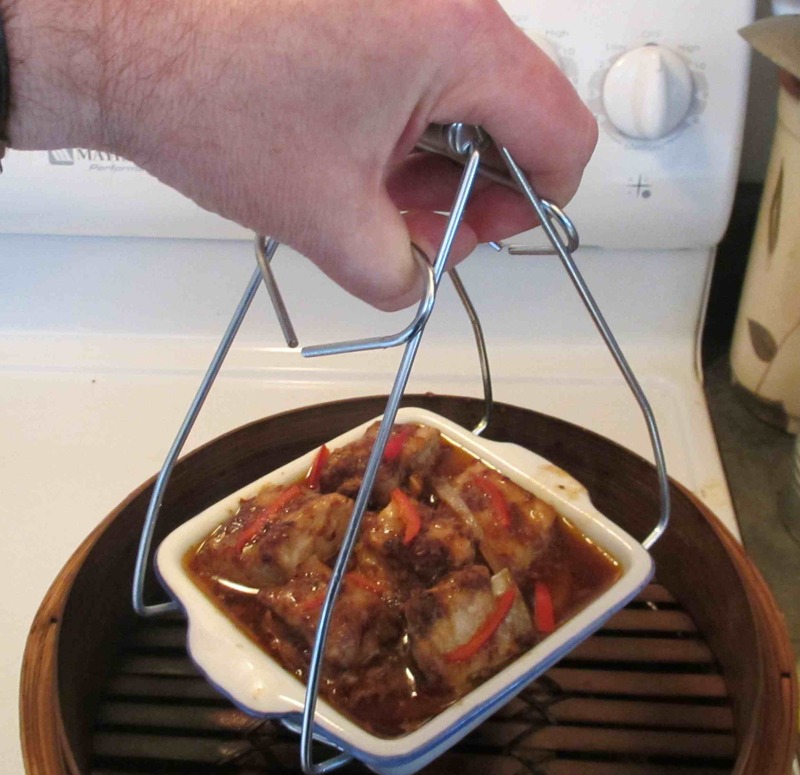 I find this really helpful for lifting a large dish when steaming fish over a rack in a wok!